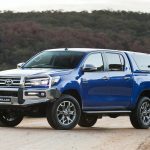 The Toyota HiLux is the best-selling ute in Australia, and, so far this year (and all of 2016) it is the best-selling passenger vehicle full stop. Australians just love it. 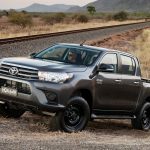 Let’s have a closer look at the most popular variant of all, the 2017 Toyota HiLux SR double-cab 4×4, to find out what’s what. 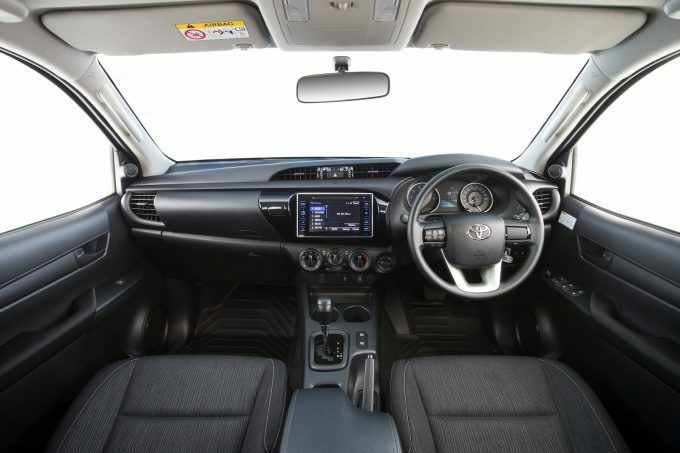 For the 2017 HiLux, Toyota has given the cabin a complete makeover. It’s now much more ‘car-like’, with a soft dash and a good spread of quality materials to make it all feel homely and comforting. 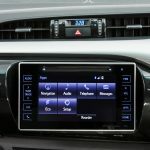 The dash is now pushed forward to open up space, with a vertical face presenting a high-tech touch-screen media interface. Front seat room is plentiful, with durable seat materials with decent bolstering to keep you comfortable and in place. 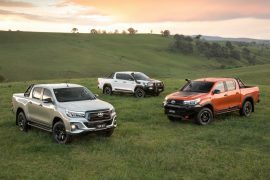 Toyota uses carpet flooring on the SR, however, for the 2018 HiLux arriving in October, some SR models will get a PVC plastic floor for ease of cleaning. Rear seat space in the double-cab is good for the class, but not class-leading, and there are no separate climate vents in the back of the centre console. Toyota likes to use universal touch-screen systems across almost all of its cars. 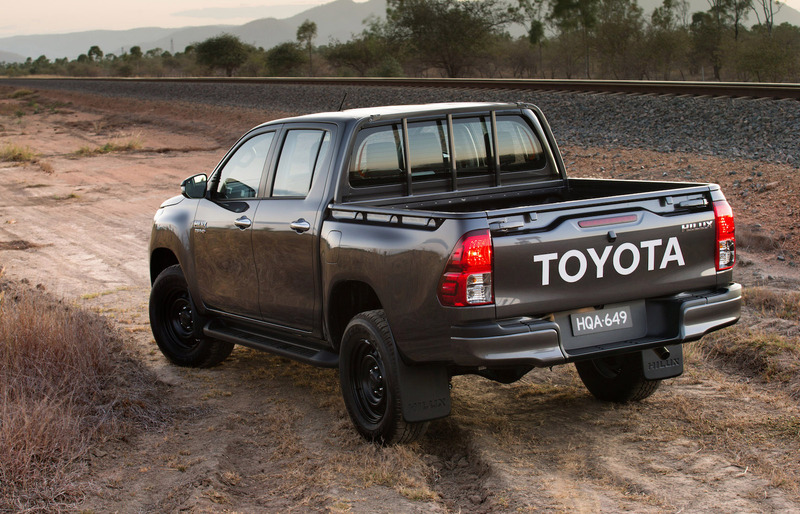 The HiLux is one of the last to receive its latest and greatest system. It displays nice graphics with a blue and white colour theme that’s easy on the eye, with a main menu and on-board apps at your disposal. 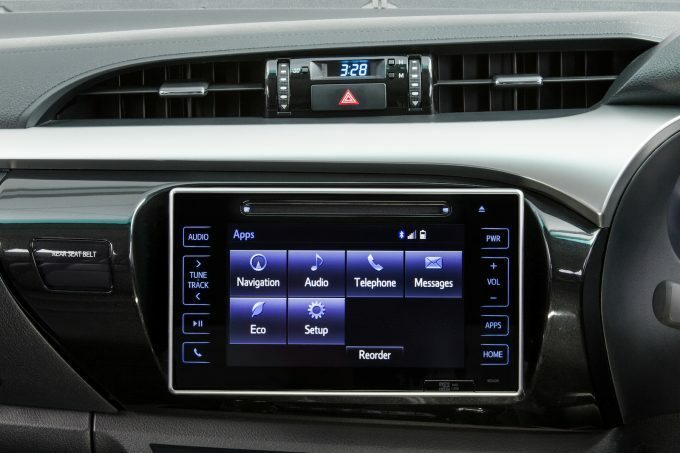 It’s not the most advanced interface in the business but it more than does the job, with big buttons making it easy to make selections while on the go. This is standard on the mid-spec SR, which is a nice touch. 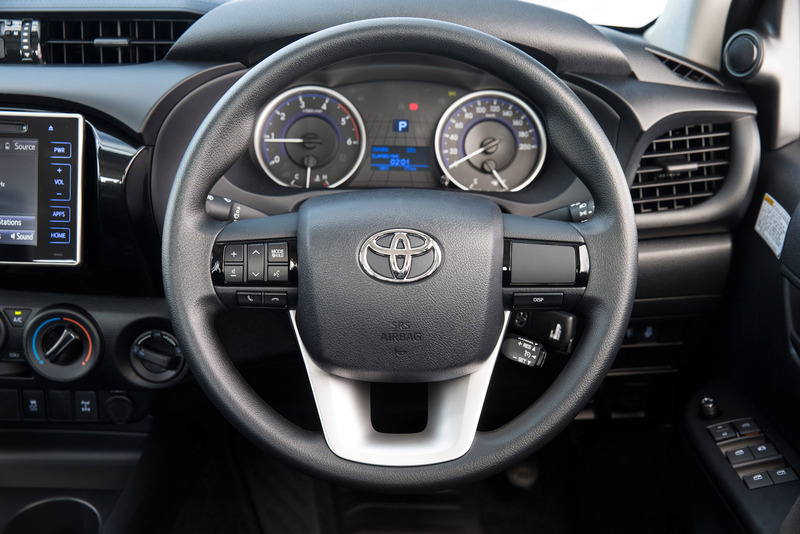 In terms of the driving position, we weren’t able to find that perfect layout as the steering wheel column and the seat seems to be just off on alignment. You can find a good-enough position though and you do eventually get used to it. Many utes on the market offer a less-than-perfect position, so it’s hard to apply demerit points here. 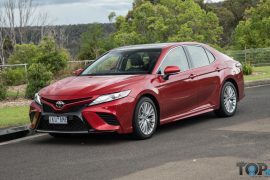 When Toyota first released the current-generation model in 2015, it looked a bit off in our opinion. But now, in 2017, it looks great to us. 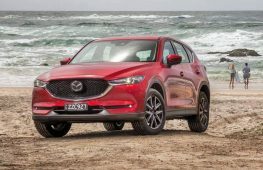 It has a purposeful front end that gives it some attitude, while the tailgate is well-proportioned with ‘normal’ taillights (unlike some rivals). Unfortunately the tailgate doesn’t feature a lock function, but it will from October with the 2018 model. 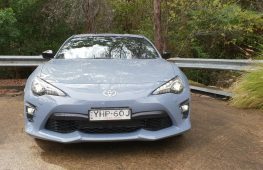 Toyota also offers a massive range of genuine accessories to personalise your vehicle (see blue SR5 pictured below) to make it look good and improve versatility. 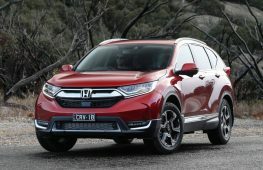 Also new with the latest generation is a brand-new 2.8-litre turbo-diesel four-cylinder engine. 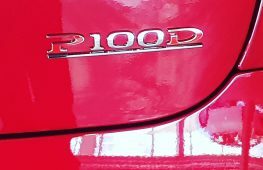 Yes, it is down from the previous 3.0-litre unit, but don’t worry, this one actually produces more power and torque (2015 model: 126kW/360Nm). 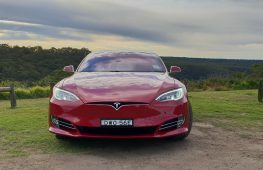 In automatic form you get 130kW and 450Nm, or 420Nm with the manual. 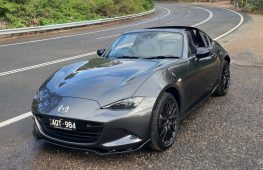 Adopting a six-speed auto, from five previously, also helps dissect the torque across a wider range. As a result, performance is improved and economy is significantly improved. More on that below. Over the 0-100km/h sprint, the automatic SR takes 12.2 seconds, which is about average for this class. About the only negative from the downsized engine is a slight loss in engine braking potential due to the smaller compression capacity. As mentioned above, the latest model gets a new six-speed automatic. This helps the engine divide up its torque, of which the peak is available from 1600-2400rpm. It’s a great transmission with no complaints here. It seems to find the best gear for any given situation, no matter how much load you’re carrying. 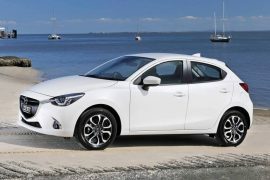 The six-speed manual is also nice, with a typical long-throw for the segment making it feel like you’re a real working class man. 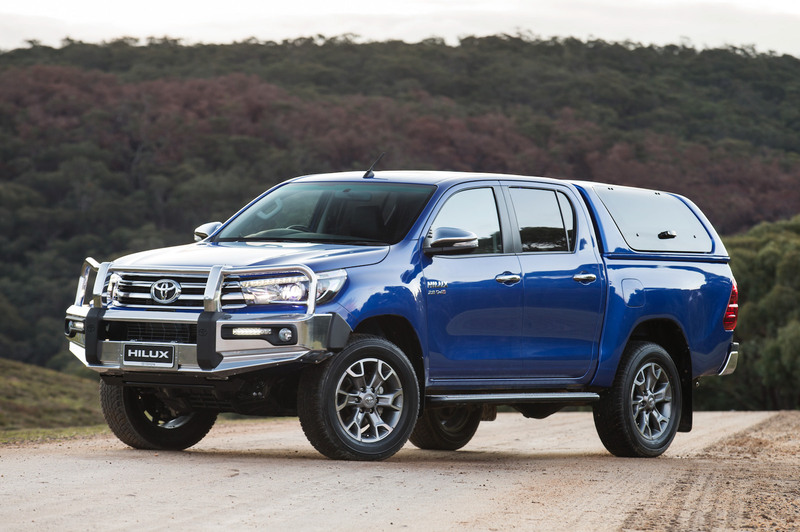 The HiLux has always been one of the better-handling utes on the market. Remembering this is a commercial vehicle with leaf springs at the rear, the handling is actually quite neutral with decent feedback. 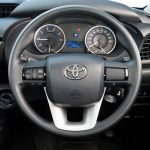 Whether you’re turning through some twisties in the mountain or hustling through a busy city to get to the next job, the HiLux’s steering is enjoyable and linear, much like a regular car. 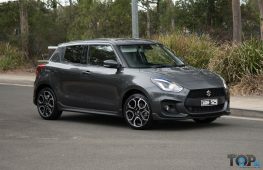 It is on the heavier side though, compared with a car, but it’s nothing to complain about and doesn’t affect its score here as most utes are similar. Major refinements were made to the latest model to make it as quiet and refined as possible. And it is evident. 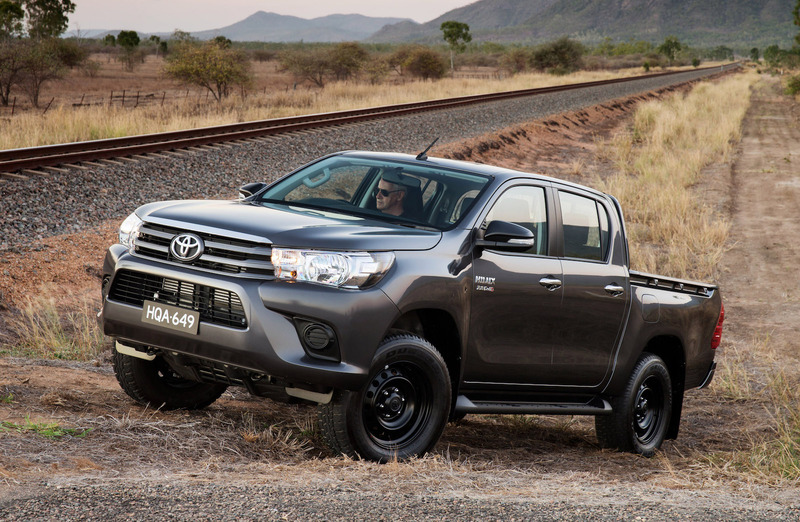 The HiLux purrs along the highway in surprising comfort. There’s little wind noise despite the generous external proportions, and the engine is very hush for a diesel when it’s up and spinning. Where this is let down is with ride. It’s not the most comfortable suspension tune. 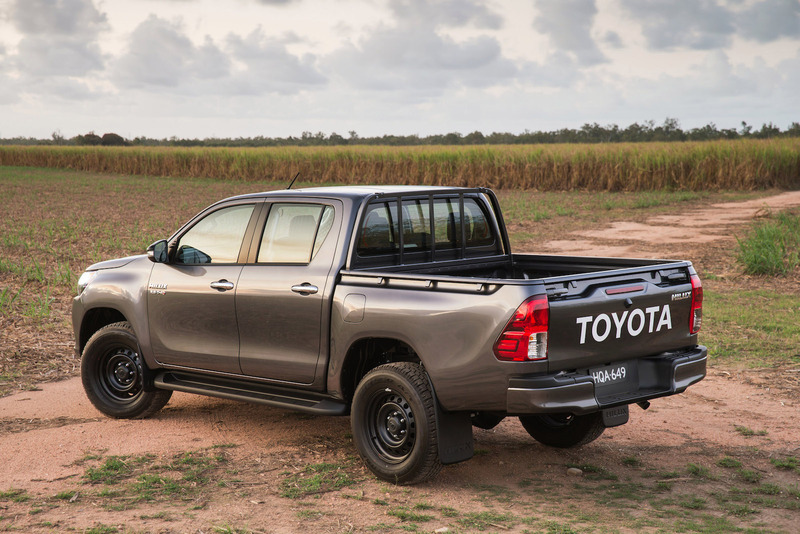 Due to the heavy-duty leaf-sprung rear end, with a 920kg payload capacity in the SR double-cab 4×4, it jiggles and jitters over road imperfections. And if you’re on the back seat, this is magnified. Fortunately the ride does improve noticeably when you start to load up the tray. As mentioned, fuel economy is improved over the previous model. Is it good against the current rivals? 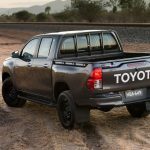 Well, the official rating for the SR 4×4 double-cab auto is 8.5L/100km, compared with 8.7L/100km of the equivalent previous 3.0TD. 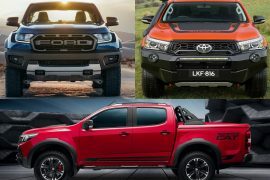 Against the next-best-selling ute, the Ford Ranger, and its 8.7L/100km average consumption (XLT double-cab 4×4 auto), it stacks up pretty good. There are more economical utes on the market, such as the 2.4TD Mitsubishi Triton, which is stamped with an official average of 7.6L/100km. In the real-world the HiLux is more than respectable, returning around 9.0L/100km on test. Toyota doesn’t offer the absolute best warranty packages, with the industry standard three-year/100,000km setup. Some, like the Triton, again, offer a superior five years. 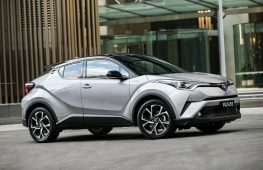 However, Toyota easily has the best reputation for reliability, so, chances are, you won’t have to take it in to get anything repaired in the first place. The HiLux is one of the few double-cab utes that has been given the full five-star ANCAP seal of approval following crash tests. 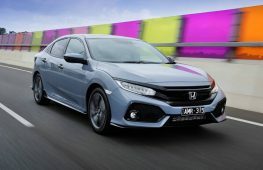 It comes with seven airbags as standard, stability and traction control, auto headlights, electronic brake force distribution, and trailer sway control. You also get cruise control, and a rear diff lock for added security in tricky conditions. 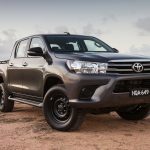 We wouldn’t say the 2017 Toyota HiLux SR double-cab is the best for overall value for money. This is mainly because you can’t put a price on reputation and reliability, despite this being its most prominent, and perhaps most significant drawcard. Instead, we think it is good value overall, on paper (where things are quantifiable), against the market rivals. If we could somehow measure long-term reliability, we’d have no doubt this thing would be near 10 out of 10. Prices are slightly higher than the market average but this is justified by the technology and kit that you’re presented with, in comparison to some rivals. 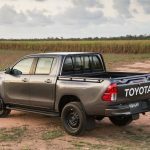 The 2017 Toyota HiLux SR double-cab is a beaut ute, and Toyota has done an outstanding job at refining and evolving the legendary nameplate. 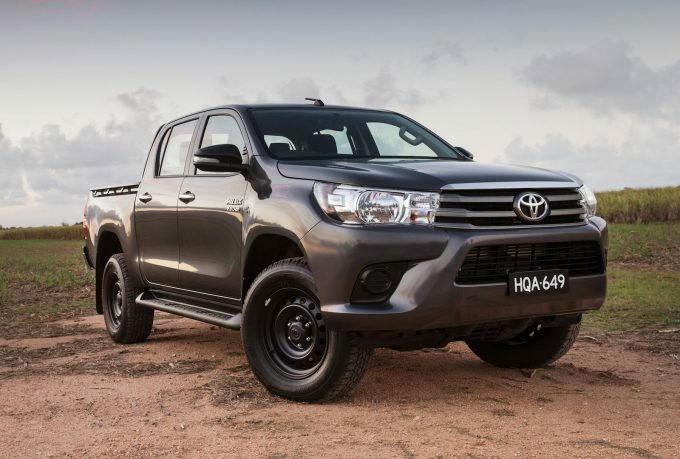 It is, needless to say, the best HiLux ever. 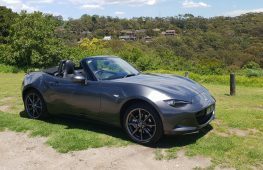 And for that reason you definitely need to be checking one of these out if you’re in the market for a ute. 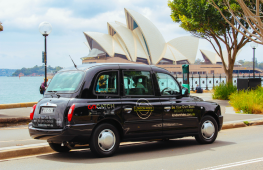 Thousands of consumers sign up for one of these every month, both private and fleet buyers, and they can’t all be wrong.